While some people claim your wedding day is the happiest of your life, it can also become the most expensive. With the average American wedding costing $25,000, you may be taking out a substantial loan just to cover your nuptials. Cutting down on wedding cost can save you stress and help your marriage start out on healthy financial footing. 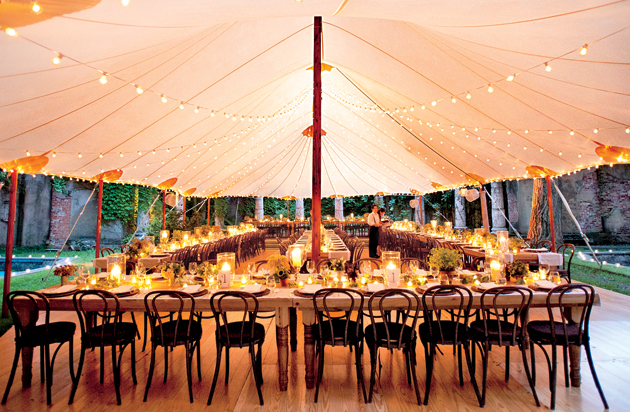 Included here are a few tips for cutting your wedding reception costs. Everyone loves dining with friends and family during a wedding celebration, but the food can get exceptionally pricey! Potluck receptions have become popular in some families, but the kitschy, tacky nature is off-putting to most modern wedding planners. The best wedding receptions often include finely catered food and may be served in multiple courses. Many venues include catering in their overall cost, but when you breakdown the numbers it is much higher than an external caterer. A great way to save money on the dinner is by utilizing external caterers; you can tailor your food and budget much easier that way. Have you researched how much photographers and videographers cost per hour? If you are wanting to “dance the night away” at your reception, you may quickly be dancing yourself into financial hot water. Sending your photographers and videographers home early in the night can be a wise decision, both financially and for the reputation of intoxicated party goers. Consider cutting the cake and throwing your bouquet at the beginning of your reception to release the paid documentation. Your guests will be more likely to snap their own pictures if the professionals are gone and you can save big during the reception hours. Open bars may be one of the main reasons people attend your wedding reception, so they should not be the reason you go broke. If you have many friends and family members who “do not drink,” you may be tempted to pay for drinks by the glass through your caterer; however, this is a mistake! Many people who say they usually don’t drink, will indulge in a glass, or three, at a wedding reception when the booze is flowing freely. It is almost always cheaper to pay for liquor at a price per head rate instead of by the glass. You can budget ahead for this cost and will not face any surprises when your extremely religious family members overindulge at your wedding. A huge cost you will face at your wedding reception is the music. Professional bands or DJs can charge out the nose for a few hours of music and you may not enjoy continuous covers of Elvis Presley. Consider attending a few open mics in your area and find an up-and-coming local talent. They will charge less and be more likely to play original music.